We are still working on this blog! Why Do We Raise Animals for Food and Products? 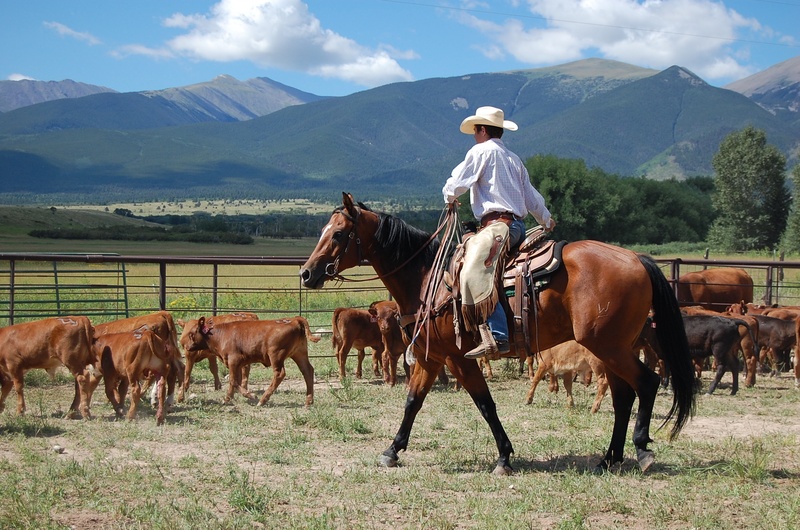 Up to this point, you have read about – why farmers raise livestock – and – what life in each segment of the industry looks like. 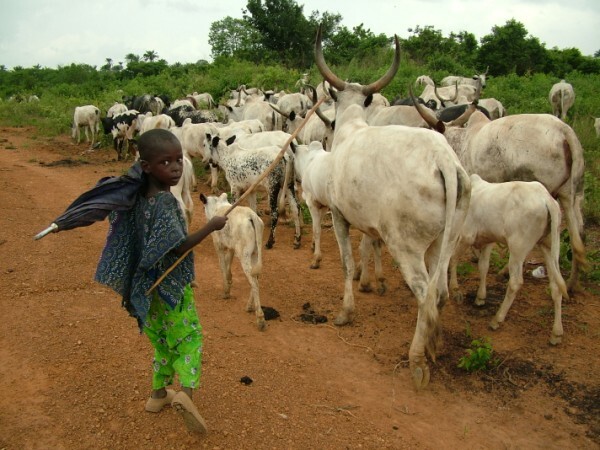 This blog will discuss the welfare of livestock and will answer the question, “Does the current system of livestock production make it worth it for an animal to be born in the first place?” as discussed in the introduction. When discussing animal welfare, the thing most people seem to be confused with is the difference between an animal that is “uncomfortable,” and an animal that is “suffering/abused.” We will discuss those definitions below. 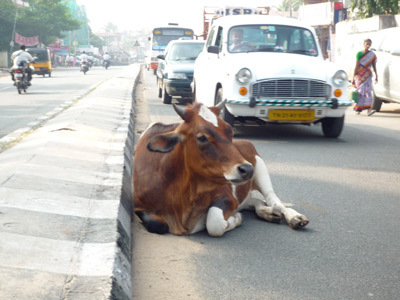 All beings experience some level of “uncomfortable” for a portion of their lives. This goes for humans, livestock, wildlife, pets, etc. The desire of most humans is to minimize being “uncomfortable” in their lives. 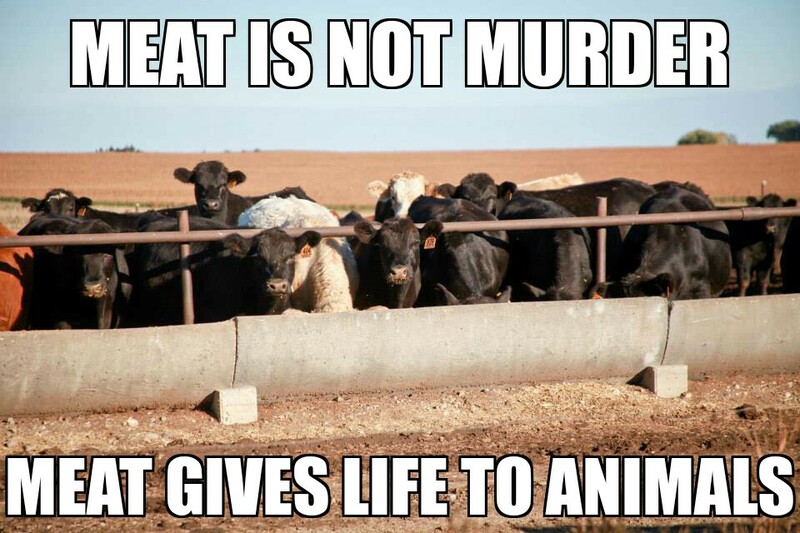 The same goes for livestock producers and animals. While livestock owners do care for their animals for ethical reasons, they also care for their animals for financial reasons. If an animal is not comfortable, they will not produce well. Research has shown if animals are stressed, the finished product (meat, milk, or eggs) will not be as high of quality. 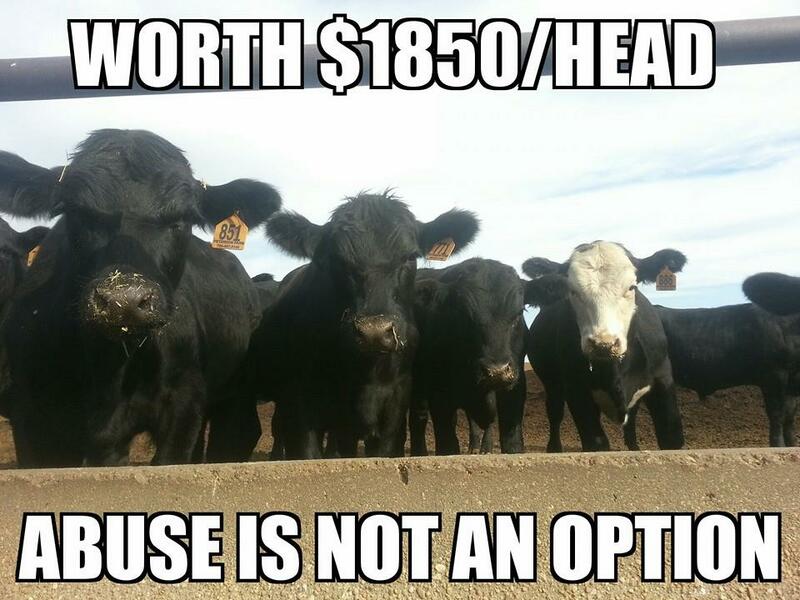 It doesn’t make any sense to restrict comfort on a livestock operation. The list goes on and on. The fact is, humans spend part of their lives in a place they do not necessarily enjoy. However, this time we spend being uncomfortable does not mean we cannot enjoy life. We simply wait it out until it gets better (which is usually very soon). Farmers do everything they can in order to maximize the level of comfort for animals. In fact, the indoor “CAFOs” (confined animal feeding operations) that people get the most upset over provide some of the best comfort you can find – temperature control and protection from the elements. In northern climates, the extremely cold weather makes bringing animals inside an obvious choice for their welfare. It is the best decision, both for the producer and the animals. Animals (especially cattle) that are kept outside during extreme weather usually adapt fairly well. 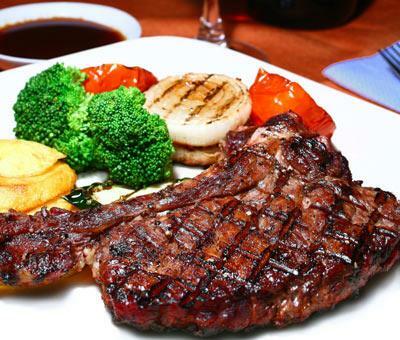 Cattle are basically wearing a leather coat at all times and regulate their body temperature by how much they eat. When it gets cold, they eat a lot! 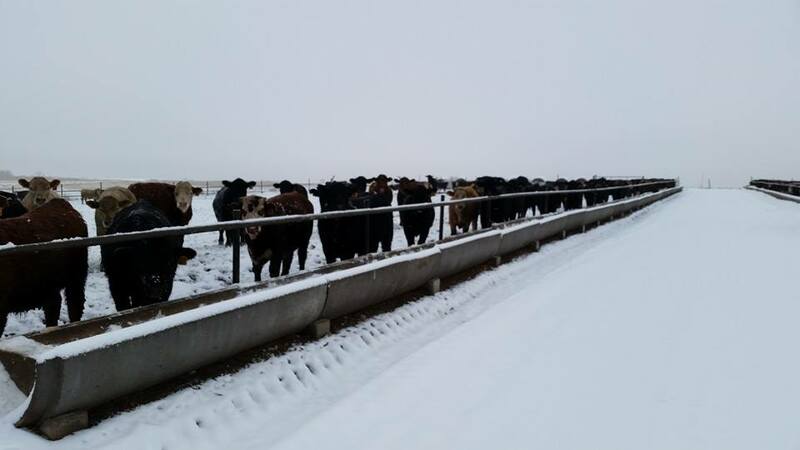 Our cattle eat more in the winter to stay warm. They are provided with wind break and plenty of food. Transporting, handling, sorting, and doctoring animals can be uncomfortable as well, but these times represent a fraction of the animal’s lives. Livestock get transported for (at most) a few hours (at most) every 2-3 months. They are handled every few weeks, depending on a variety of factors. They are doctored only when needed. For some, this can be 5-6 times in their life. For others, they may never need to be doctored. This goes for humans as well. Overall, even when you add all of these things together in their worst-case scenario, it represents less than 1% of the life of an animal. 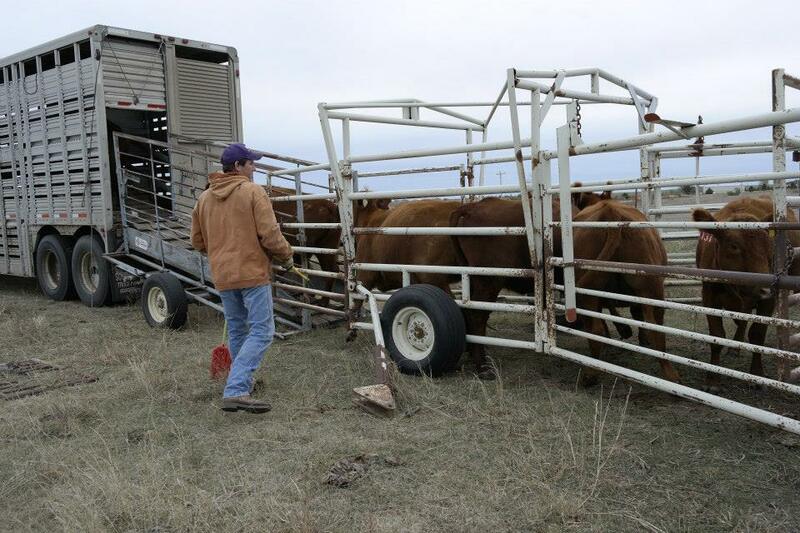 Cattle being loaded into a trailer. They don’t particularly like the process, but it is a huge part of the efficiency of the industry. Many “undercover videos” of livestock farms show animals living in the worst possible conditions you can think of. Mud and slop up to their knees and dark, damp buildings. While a lot of the videos are heavily edited or acted out to make the conditions look much worse than they really are, pen and housing conditions can go downhill if not maintained or if weather conditions are extreme. However, walking around in mud and slop is not “suffering/abuse.” In some cases, it would fit into the “uncomfortable category.” In other cases, mud and slop can be somewhat of a comfort to animals, especially cattle and pigs. Pigs prefer laying in the mud and so do cattle on hot days. 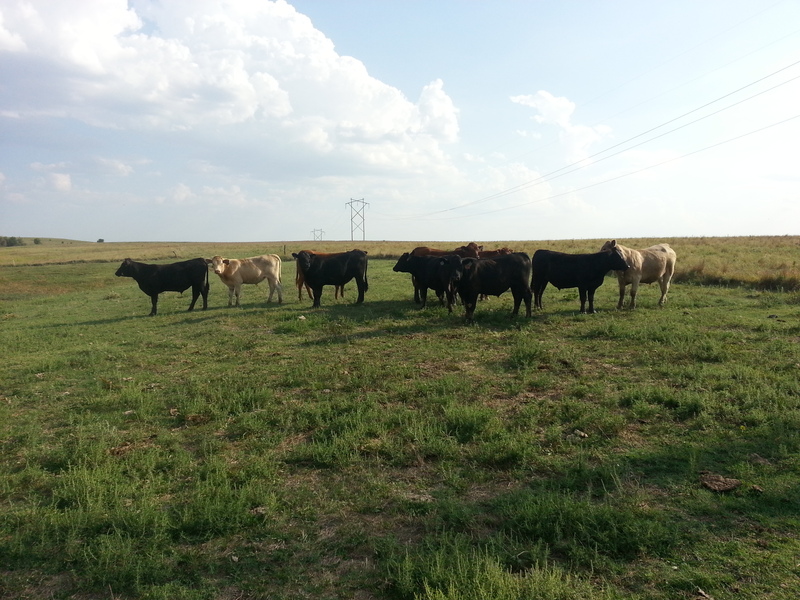 Even cattle in pasture will go tromp in a pond or muddy area to stay cool and relax. In outdoor conditions “mud and slop” would be a mix of wet soil and manure. On the other hand, when this occurs inside of a building, it is most likely 100% manure getting on the animal, which is a little gross, but animals do not have the same standard of clean as humans have, as evidenced by the cattle and pigs who bathe and drink out of the same ponds they relieve themselves in. In any case, producers should do their best to keep their pens/housing clean and I believe the vast majority do so. 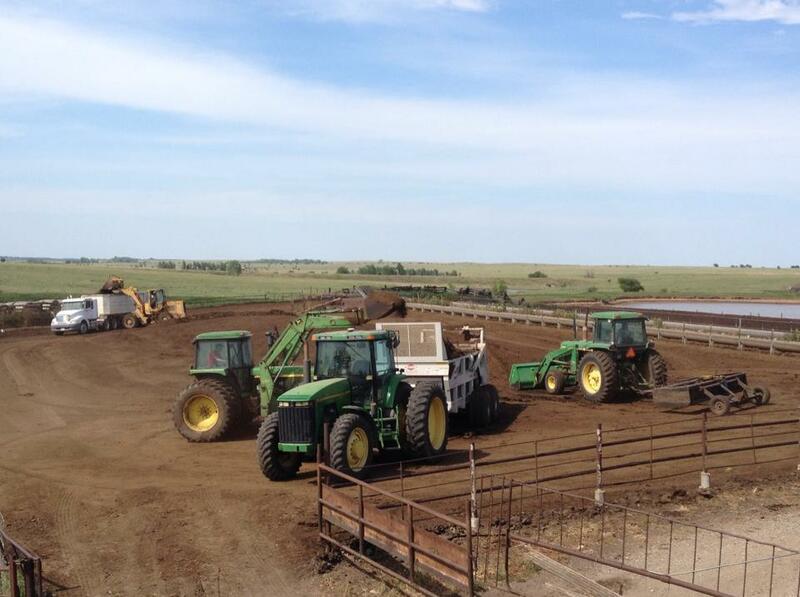 Cleaning our cattle pens to prevent build-up of manure. To summarize, if we had to go to the dentist every day or take a ten-hour car ride once a week, we would not enjoy life as much. But a dentist appointment every year or so, and a road trip every few months is not so bad. Animals spend the majority of their lives feeling comfortable. Being uncomfortable sometimes is a part of life, and that is the same for humans as it is for animals. Animals are similar to humans in this category, however they are not exactly the same when it comes to emotional needs and animal “rights.” Abuse leads to suffering, and in livestock, suffering can lead to death. When livestock producers lose animals to death, it can be extremely costly (an animal is typically worth thousands of dollars) and can put an operation out of business. Therefore, just like with comfort, producers must do everything they can to avoid abuse or suffering. Livestock, except in extreme situations, are always well fed and well watered. This is especially true of “CAFOs” and confined operations. Pastured livestock may run out of food or water, especially in times of drought, but animals confined on the farm generally always have ample supplies of food and water in storage. If a producer does happen to run out of resources, they will transport or sell their animals to another location so they do not suffer or die (would result in thousands of dollars of losses). 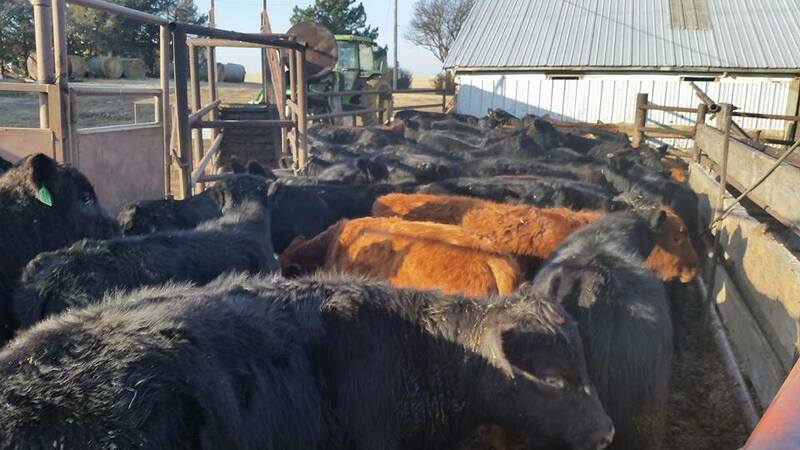 Even cattle on CAFOs are always provided with adequate food and water, something many humans in the world do not have. Humans get sick. It is a part of life. In order to truly live, we put ourselves at the risk of getting sick. Nearly all humans will experience some sort of sickness in their lives. We do all that we can to prevent sickness and disease and that includes eating right, exercising, and getting vaccinated for certain diseases. The same goes for livestock. In order to raise animals for food, livestock producers risk these animals getting sick. However, unlike humans, there are many animals that do not get sick during their life. Livestock operations do everything they can to prevent sickness and disease, and that includes providing animals with the right nutrition and vaccinating them for certain diseases. The overwhelming majority of animals on livestock farms spend the overwhelming majority of their lives free from sickness. Our cattle are handled within a few days of arriving on our farm to receive vaccinations to prevent them from getting sick. This category (and the next) is where animals differ somewhat from humans. It is important to remember that while we do compare animals to humans to make discussion points, animals are not humans! You will find this very obvious the more time you spend around them. Animals have different physical needs, different emotional needs, and a different level of pain tolerance than humans do. Physical abuse is seen in some of the “undercover videos” about the livestock industry. This can include repeated beating of animals, making them bleed, etc. This is clearly physical abuse and should not happen, ever. However, many people think routine things farmers do to animals (prodding, branding, ear tagging, castration, docking, shearing, etc.) are physical abuse as well. Those things are pains that are necessary in order to raise these animals for food in a cost efficient way. 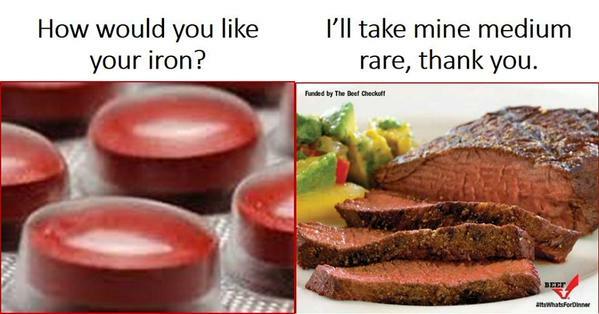 They are better for the animal/producer in the long run. They only last a few seconds or a few minutes at most (if done correctly), and then the animal is free from pain. Humans undergo similar pains in order to live their lives efficiently. Doctor’s appointments, surgery, wisdom teeth, etc. 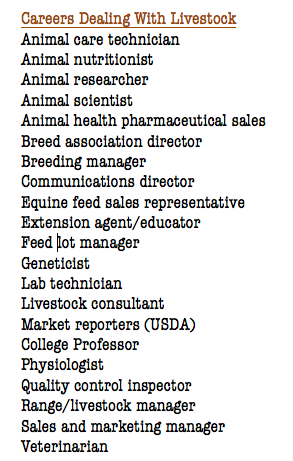 Could livestock be raised without some of these things? Yes. Is putting animals through these things abuse? No. Emotional abuse can be hard to measure in an animal. Livestock do show emotions such as excitement, curiosity, and fear. To abuse an animal emotionally would be to remove excitement and adventure from an animal’s life and/or to have them live in constant fear. If you’ve ever been to a livestock farm, you will see that the livestock are curious and get excited at various times. A sad animal is very easy to spot: Droopy demeanor, separation from the herd, and less of an appetite. This is usually associated with a sick animal. Animals do experience sickness on a farm (discussed above) and experience fear in certain situations (sudden movements, wild animal attacks, when they are cornered), but as with other forms of pain/suffering/uncomfortable feelings, these moments are few and far in between on the vast majority of livestock farms. Livestock spend most of their time happy and relaxed. Mental abuse would be to remove a livestock animal from all other animals and deprive it of attention. Just like a pet, livestock animals prefer to live in community with other beings (preferably of the same species). On livestock farms, big and small, hundreds or thousands of animals are together to interact with. Opponents of animal agriculture believe that livestock farming can be compared to human slavery. I believe this is flawed because of the core statement of animal agriculture found in the introduction: “Most livestock animals would not have the opportunity to live if they were not born into livestock operations.” Humans, on the other hand, are capable of surviving, multiplying, and thriving outside of “slavery” and we can see that pretty clearly. I believe that this “quality of life” is provided on the vast majority of livestock farms and I have detailed that in this and in previous sections. 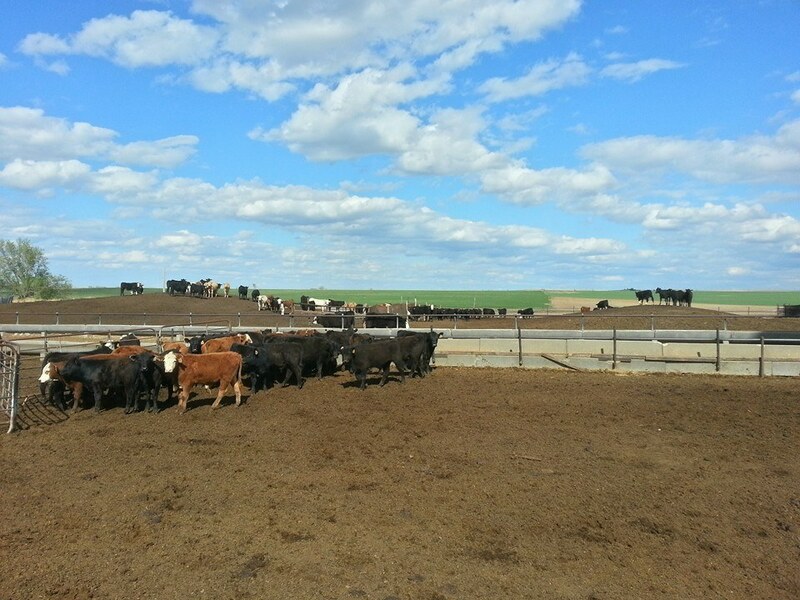 Livestock farmers must treat their animals well to stay in business. Although animal agriculture is not perfect, I believe that the current state of animal welfare on livestock farms is adequate and ethical 99% of the time. Livestock animals, regardless of the sector they are in, live good, enjoyable lives that make it worth being born. In fact, animals on farms live more enjoyable lives than a lot of humans, which I will talk more about in the next section (link below). However, this does not mean there aren’t improvements to be made. It also does not mean consumers cannot choose a specific way they want their livestock to be raised. I am not against “free-range,” “grass-finished,” “antibiotic-free,” demands, as we live in a free market society and if that is what you are interested in, you should be able to get it (and pay extra for it). However, as this blog outlines, other forms of livestock production are acceptable as well, and those producers should be allowed to make decisions based on that. Eating and using animal products will be a huge part of meeting the needs of a growing population and we will need all types of livestock farms to help meet those demands.